Is there a dead or unsightly tree or shrub in your yard? Do you have a potentially dangerous situation being formed by a tree that is ready to fall? 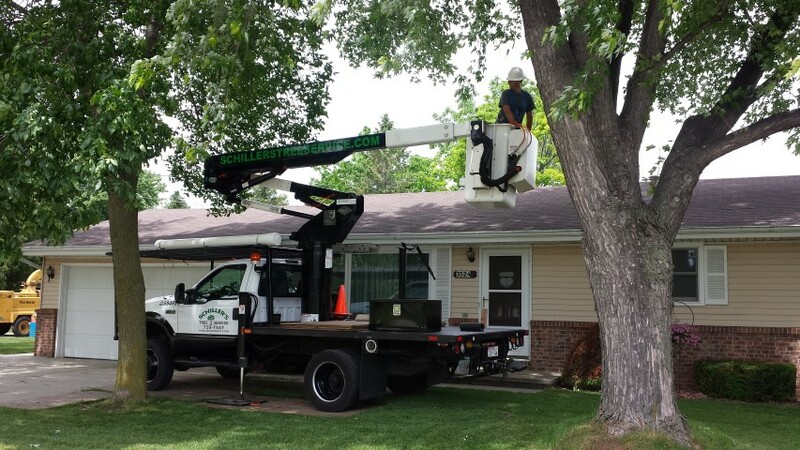 Are your tree branches growing too closely to your house or electric wires? Maybe your grass growth is limited because your property simply isn't getting enough sun light? Our tree and shrub removal service is a great solution for these types of problems. This truck is lightweight and has 60' of reach. We typically use this truck to fit into smaller areas. This truck provides 90' of reach which allow us to get at many seemingly unreachable areas. For example, we can use this truck in the front yard of a ranch house and reach over the roof to trees that are in the back yard! 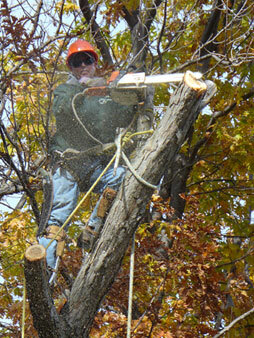 We also use it to trim large and mature trees that are 100 or more feet high! We have staff members that are highly-skilled, trained handclimbers. This gives us the flexibility to remove trees in areas that are not accessible by our bucket trucks.